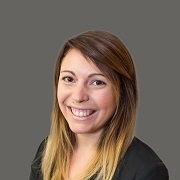 Katy McDonald | Resource Financial Planning, Inc.
A native Oregonian, Katy graduated from Portland State University with a major in Sociology and a minor in French. While researching what path to take, she joined the team at Resource Financial assisting Ryan and Sue, where she seems to have found her calling in finance. Katy is now studying for her Series 7 exam with a goal of becoming a financial advisor. In her spare time, Katy can be found at the Lake Oswego Farmer’s Market selling produce for her husband’s farm, or volunteering as a therapy dog team with her Golden Retriever, Digby.